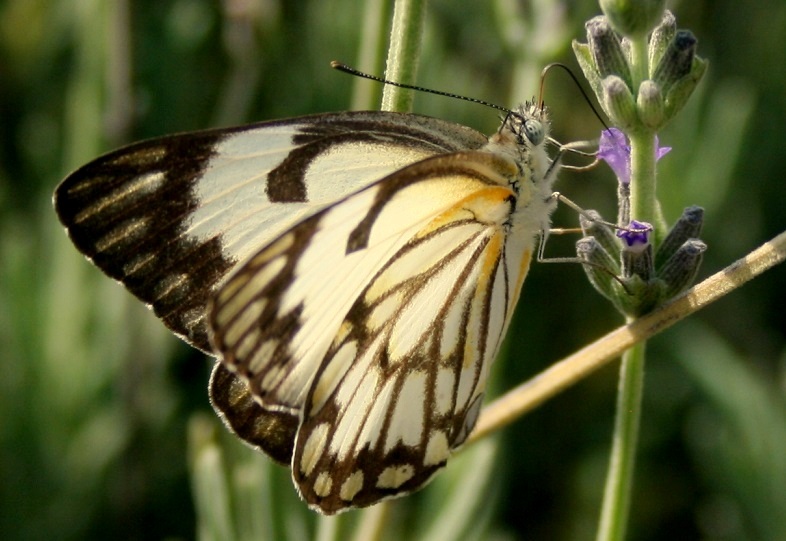 And on the subject of migration … I mentioned to Brian the other day that the Brown Veined Whites (Belenois aurota) have begun their annual trek up through South Africa . A bit further north past our spot they make a right turn and head for Mozambique. I think this is where their journey ends, so in effect it’s not really a migration as their flight is a one way trip. Anyway, they originated in the South West – Kalahari and begun arriving at our spot two days ago. 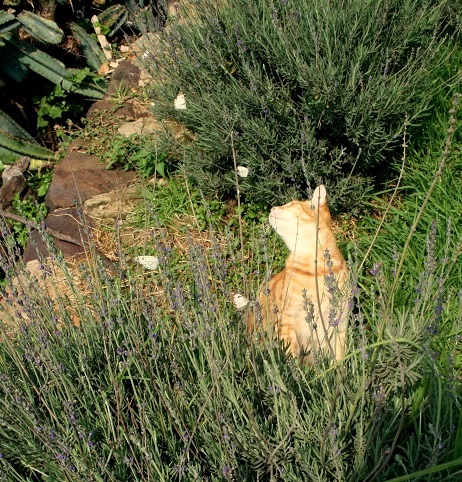 As they arrive on the property many seem to park off for a bit of refreshment on the lavender I planted last year. 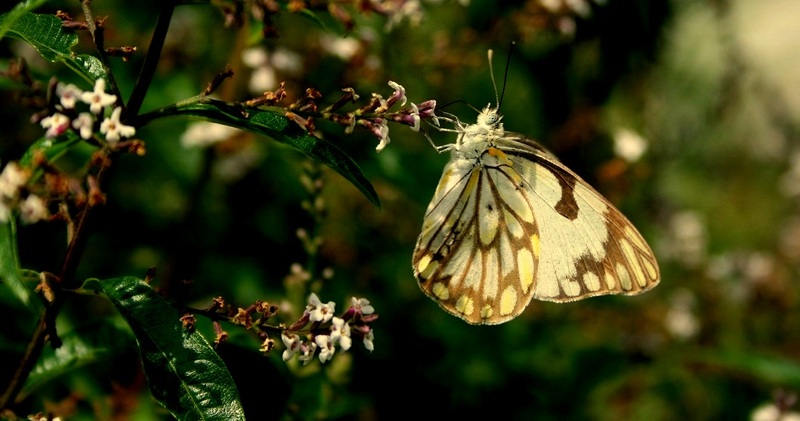 Their numbers depend on the usual climactic factors – rain, drought etc, but whatever the weather the fairly stately butterfly procession will continue for a day or two more, and they pause on their journey every now and then to lay eggs. And as with any large ‘migration’ of this nature there are opportunists at every turn. 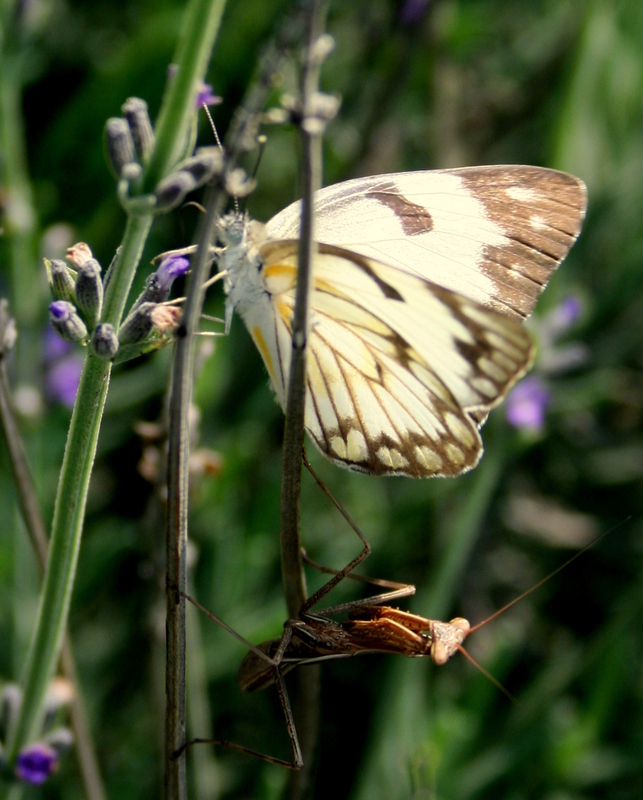 A gravid Mantis found on the Lavender. 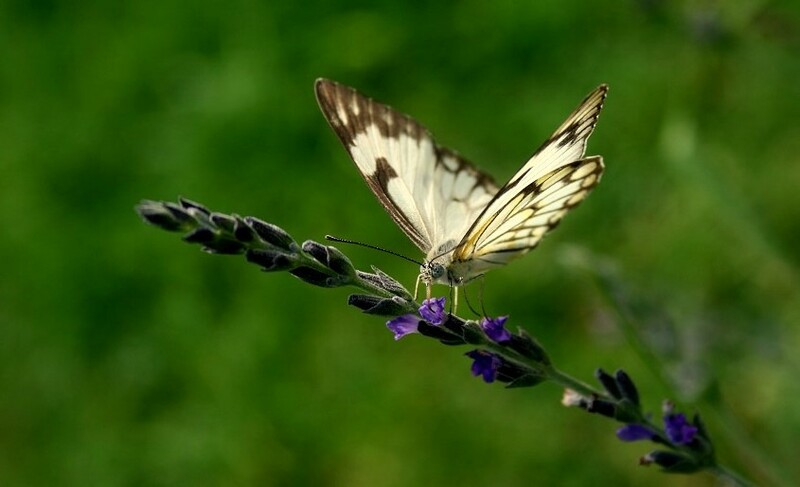 Some Butterflies are fortunate, and get to continue their journey. On the Lemon Verbena. No predators here. Lovely. 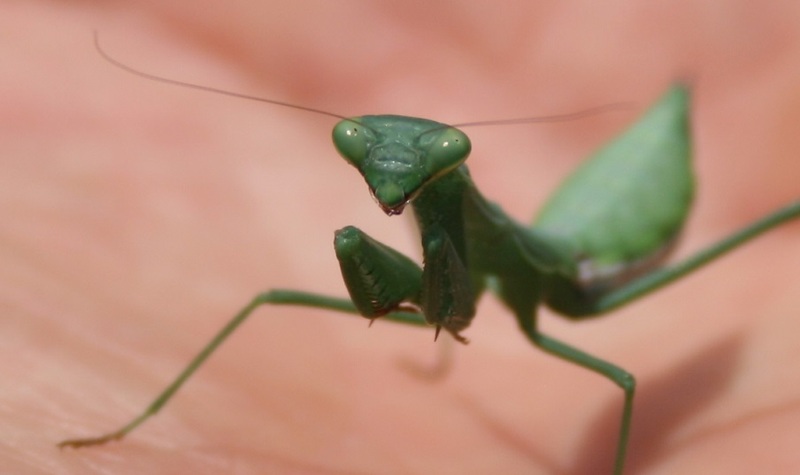 Love that mantis! My favorite insect. Absolutely gorgeous, shame you only have them a short while. The backlit shot on the verbena is a cracker, well done Sir! There weren’t that many today. It was cooler in the morning so this may have hampered their flight, but I reckon we are definitely into the tail -enders already. They must do a reverse migration, bit like the Painted Ladies in Europe or the Monarch in North America, possibly by a different route? Apparently not. No accounts of a reverse have been witnessed/recorded. The majority of the eggs are laid at the onset and a few places along the way during the early stages of the flight. at the end of the journey they die and have been seen dropping into the ocean off the coast of Mozambique. That is strange, as you say a one way journey. Oh and try and post them last two shots on the facebook page. Which page? Refresh my memory? Just Butterflies Moths and their caterpillars. I understand that the migration (in America) of monarchs was for many years a myth-tery, until someone stumbled into a valley stuffed to overflowing with monarchs … or is that just a folk tale? It appeals anyway~! Huge dearth of butterfluffs down here this season, even dearther than other years. Thus far I seem to be the only observer so perhaps it’s a question of taste—I may exude a scent that they can detect and avoid from miles away~? I seem to recall that ‘myth’. I watched a TV doccie years back. 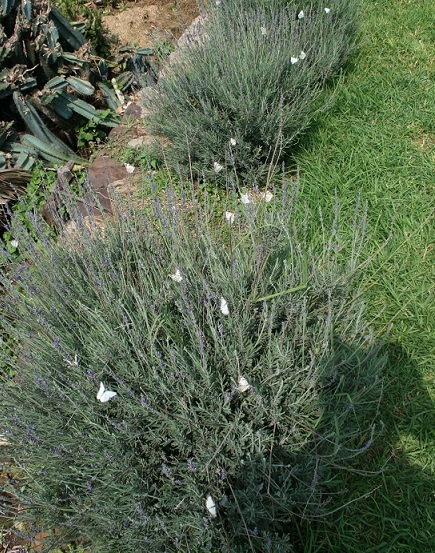 We used to get monarchs up in Auckland, haven’t seen any in the wild down here at all. In towns and villages at least, anything other than cabbage-white (types) here are newsworthy. All to do with their natural food source … or lack of it. it had a lot to do with the trees they used as home when they go to California. People cared little for the butterflies, and cut down their nest ing sites/ They mate and lay eggs and die, all along the path, which I find incredible–so the butterflies you waved to last fall continue the same trek for up to 3000 miles, but the butterfly that arrives in Baja is probably the eighth generation since they left our fields. It’s a triple problem–in this area much of the milkweed the caterpillars depend on has become diseased, and dies before it ever matures. That, and the spraying in the midwest, and the destruction of their trees in the west means now instead of hundreds of butterflies you’re lucky if a breeding pair comes through once a week. The Monarchs on the eastern side of the US migrate to just one small area in Mexico, Sierra Chincua. I saw the film of this, it was breathtaking. However they are under threat as trees are being cut down nearby the temperature of the hibernating butterflies is falling. Quite the story. A tough outcome for some. 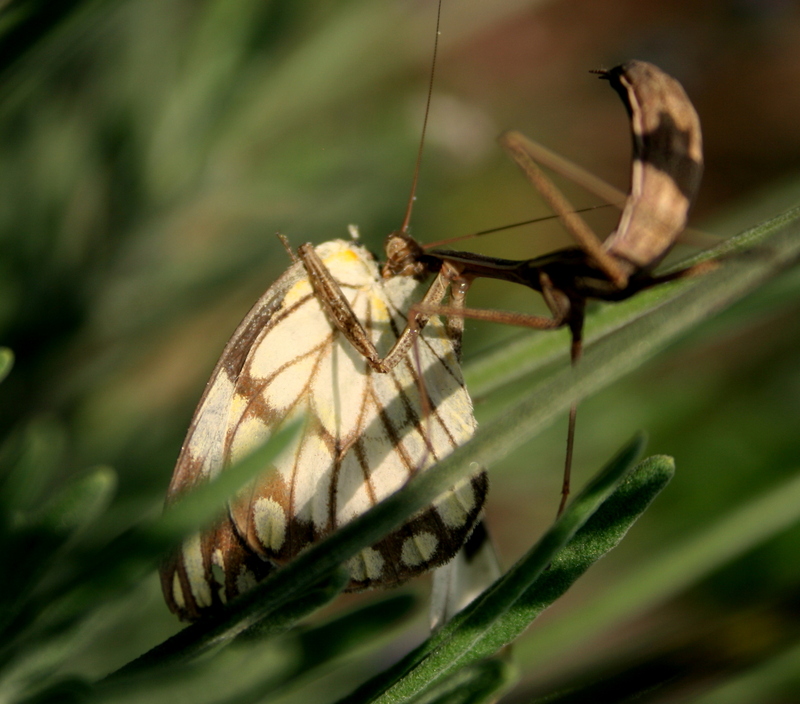 Lovely photos of the butterflies and the close-up of the mantis. when we had that onslaught 15-20 years ago I spent most of my time in the garden rescuing the catepllars. when they built that chrysalis I would babysit all I could find. Those three or four summers were incredible. I doubt if we’ll ever see that again. Now that is ( being on a )”mission work” with a meaning! I don’t remember noticing this before I moved to Panama, but the butterflies are incredibly aware of their surrounding and each other. I would be curious to know how that little bug has such keen intellect. Cool pics boss. Thanks. I would be curious to know how that little bug has such keen intellect. I am still working on leaping tall buildings in a single bound. Leaping is no problem. But you have to be careful of your landings (this could be construed as a meta phor religion, but it was a bit too subtle for me).